PDF files are considered very important documents. As stated earlier, these files are the file format of choice for office memos, documents, and official correspondence. Today, these files are used for ebooks, contracts, and legal documents. Many people download them over the internet. Some even purchase them, more particularly the ones that are electronic versions of the most popular books and paperbacks sold today. Deleting a PDF file by accident is a common thing and happens a lot to anyone. These files can be lost when cleaning up the hard drive or when a mobile device’s firmware is updated. For a lot of people, losing a particular PDF file is unthinkable. This is where PDF recovery is necessary. PDF files can be recovered from a computer system or a device with the use of a software called WS Data Recovery. But more than just PDF files, this program can restore or recover over 500 different file formats that users could have deleted or lost. 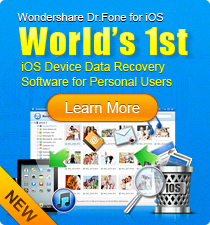 Wondershare Data Recovery is a very easy-to-use PDF recovery software that runs on Windows XP and higher. It can also be installed on a Mac computer running OS 10.5 and above. 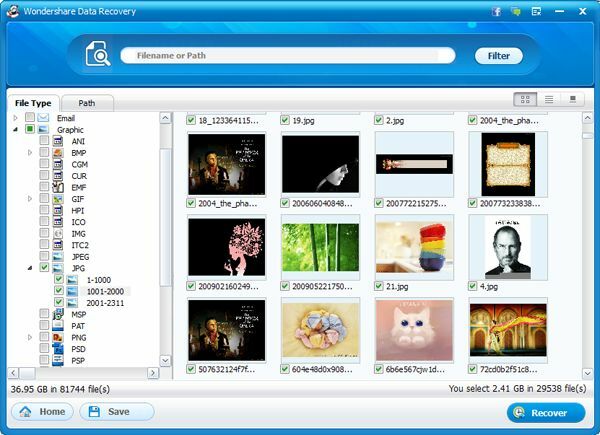 For easy PDF file recovery, trying this program is highly recommended. Note: Recover PDF files (up to 100MB) for FREE with the Windows version. Install PDF recovery software to an external HDD or a partition rather than the one you've lost PDF files. Please follow the easy steps below to recover PDF files. Choose the wizard mode to recover PDF files by answering questions one after another. Select Office Documents while choosing file types and choose where you lose your PDF files. Scan and recover PDF files to another partition or disk. PDF files are special types of document files. By definition, it means Portable Document Format. This file is used mainly for electronic documents and it is now a standard for such, as set by the ISO. PDF was created by Adobe Systems and is best opened with the Adobe Acrobat reader, although many software can process it just fine. This file format is mostly used in the office setup, as PDF documents can be printed in the exact way that they looked. But because it is electronic, it is also possible to integrate hyperlinks, clickable images, and moving graphics into it. Audio and video files may be embedded in a PDF file as well. Download WS PDF Recovery for Mac software now to recover lost PDF files with ease. Therefore, you don't need to create or download your PDF files again, saving you so much time and money.